The developers and the country's leadership probably did not foresee that new types of weapons would appear in the Russian army - the armored vehicles of the current generation. The one that is created under the programs "Kurganets-25", "Armata", "Boomerang". Some of these products in size and weight can not be transported by IL-76 type aircraft. 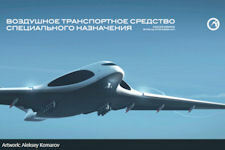 By January 2013 the Russian Defense Ministry was reviewing the construction of military transport aviation. The main purpose of the Defence Agency is to reduce dependence on Ukrainian aviation producers. Antonov aircraft from the An-26 to AN-124 "Ruslan" historically formed the basis of the Soviet and then the Russian military transport Aviation (VTA), and their share of BTA is still quite large. The general policy of reducing the dependence on import of Russian defense industry and some political difficulties of cooperation with Ukraine risk collapsing prospective projects with Ukrainian roots. The State program of armaments for 2011-2020 years involved the acquisition of at least 600 new aircraft for the Russian Air Force, including more than 100 new military transport aircraft. At least 39 of them would be the IL-476, the deep modernization of the IL-76. The overwhelming majority of the remaining planes constitute the Ukrainian planes Antonov An-124, An-140 and Aan-70. But the fate of these machines came under question. In the mid-1990s, it was noted that the Russian Air Force was interested in new Russian military transport planes of Ukrainian development. Air Force needs were estimated at 150-160 aircraft. Soon the Russian side refused to purchase the AN-70, explaining this decision was based on high cost. In 2006 the Defense Ministry officially announced its withdrawal from the AN-70, it is motivated by the fact that major Russian aircraft military transport aircraft is the Il-76. Another reason was certainly certainly change the political orientation of Ukraine after the Orange Revolution in 2004. Russian Air Force as a preference for domestic Ilyushin Il-76MF and forthcoming Tu-330. In 2011 it became known that Ukraine intends to continue funding the development of the aircraft. At the same time it became known that under a new state program of armaments Russian Defense Ministry intended to buy 60 An-70 planes. At the same time stated that in 2014-15 may begin construction of a new technology on one of the Russian aircraft factories. By 2013 the program to resume production of Ruslan freighters was apparently considered excessive. Russia renounced the acquisition of further heavy transporters, and decided to confine itself to the repair and modernization of existing in service with Antonov An-124 (VTA has not less than 20 such aircraft). And the light transport aircraft An-140-t may relinquish its seat to the Russian plane IL-112v. The medium transport aircraft An-70 can be replaced by a Russian project of the TU-330 or a prospective Russian-Indian MTS (IL-214). As is well known, protests in Kyiv began on November 21, 2013, following the Government of Ukraine’s announcement that it was suspending preparations to sign an association agreement with the European Union. On February 22, following three months of large protests and violent clashes, former President Yanukovych departed Kyiv. The Ukrainian Parliament established a new government on February 27. Groups that oppose the new government and support closer ties with Russia staged demonstrations in cities throughout eastern and southern Ukraine. Russian troops occupied several government buildings, including airports, and established roadblocks on the Crimean Peninsula. Under these circumstances, it would seem improbable that Ukraine and Russia would continue joint work on this project. Serial production of the AN-70 requires a large number of cooperative enterprises of the two countries. On the background of the new relations of the Kiev authorities and official Moscow achieving such arrangements seems unlikely. Without Russian assistance, in turn, Ukraine will not be able to build new military transport aircraft. Thus, the Ukrainian events can be detrimental to one of the most promising projects of recent times. According to Hero of Russia, Deputy Head of the State Flight Test Center, the leading test pilot Colonel Igor Malikov, the transport aircraft An-12 "is almost exhausted." "These aircraft remained minuscule, they extend the transport resource. More transport vehicles, then no! Therefore, the new Russian transport plane is badly needed, " he said. Russian aviation industry started work on a new military transport aircraft in 2013. The project has not yet received the exact name and work are indicated by analogy with other new developments - "promising aviation complex transport aircraft" (PAK TA). Russian defense enterprises have begun to develop a promising aviation complex transport aircraft, for which completion is expected by the end of the next decade. General Director - General Designer of "IL" Viktor Livanov. "The exact name of the project have not conditionally call PAK TA - promising aviation complex transport aircraft. While this is only one of the perspectives, closer to 2030, " said Livanov. As Russia began to develop the aviation perspective transport aircraft, the project, by analogy with several others, was the code name PAK TA. Note that in Russia tested a promising fifth-generation fighter PAK FA (T-50), its name in common with the new project. The word "perspekti´vnyj" literally means perspective, but can also be translated as promising, prospective, or future. According to experts, to create the perfect plane immediately fail, and special attention should be given to electronic equipment and engines. Details of the project have not yet been reported. The Prospective Aviation Complex Transport Aviation [PAK-TA] military transport aircraft allegedly started in 2013. On 08 July 2013, JSC "Ilyushin AK" sought provision of a bank guarantee in the amount of 354.4 million rubles for the implementation of obligations under the state contract with the Russian Defense Ministry on technical design heavy long-range military transport aircraft and cockpit layout. As of March 2014 there were no formal requirements for the aircraft, but there were first optional configurations resulting from the first drafts. In 2014, together with OKB Ilyushin, aircraft project work was undertaken at TsAGI and OKB im.Myasischeva. Completion of the project was expected in the 2020s. Now employees Aviation Complex. Ilyushin and several related organizations are studying the possible appearance of the aircraft PAK TA. Not so long ago in Central Aerohydrodynamic Institute (Zhukovsky) held its first long-term study of the aircraft models in a wind tunnel, showing features of various proposals. In the near future TsAGI specialists continue to study various proposals and shape the military transport aircraft of the future. In the research works on the new project also employed OKB Myasishcheva. Requirements for prospective transport aircraft are not yet defined and are unlikely to appear in the near future. Over the next few years, experts will explore the various features of advanced aircraft systems and their specific applications. In addition, prior to the determination of requirements aircraft manufacturers intend to consult with potential customers. As the main buyer of aircraft PAK TA considered the Russian Defense Ministry. Apparently, after the new aircraft may be offered to commercial entities and foreign military. It should be noted that experts at the Aviation Complex Ilyushin and related organizations have enough time to conduct all necessary research and development work. Active work on the project PAK TA must begin no earlier than the next decade. The exact time frame for completion of the project, for obvious reasons, is not yet known. The main requirement for the aircraft PAK TA, apparently, will be determined in consultations with the main developers of the customer - the Russian Ministry of Defense. Tonnage and volume of the cargo compartment of the new aircraft should be determined in accordance with the role that will be played by the army in the car, as well as the characteristics of the equipment and weapons, which is supposed to carry. Recent trends in the development of national land art suggest that long-term capacity transport aircraft and its cargo compartment dimensions will be approximately equal to the corresponding characteristics of the existing IL-76 or the last modifications will be slightly exceed them. Numerous studies and tests can show the correctness of certain proposals, but one can hardly expect that the aircraft PAK TA in their appearance will differ significantly from modern technology similar purpose. Apparently, at its aerodynamic appearance promising military transport aircraft will be like the current machines in this class: a high-wing pods, a cylindrical fuselage with bulk cargo cabin and developed tail. 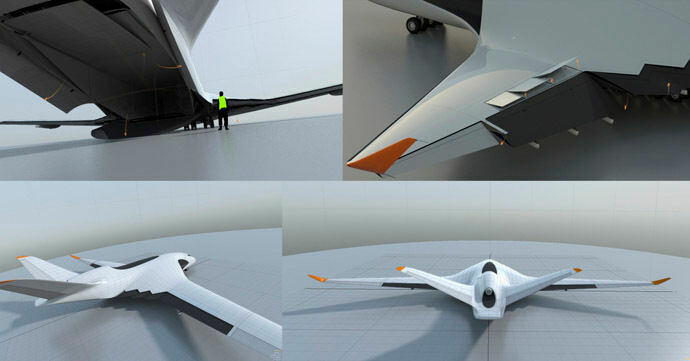 Unlikely PAK TA will be carried out, for example, by promising, but too bold and controversial scheme "flying wing". Flight characteristics of prospective transport aircraft will relate directly to the engine used. Create a project that could be interested not only domestic but also foreign customers require to take into account noise and efficiency used engines. For obvious reasons, the coming years will not be able to speak confidently about not only exemplary performance, and even the type of engine, planned to use. Work on the program PAK TA will continue over the next 10-15 years, which is why now it is extremely difficult to imagine how it will be a new military transport aircraft. However, research on the topic has already begun and in the next few years should give the first result. While the situation allows you to make only one plausible predictions: the stated period of the project is such that in reserve SV Ilyushin Aviation Complex Ilyushin enough time to carry out all the necessary work. The experts believe that the current technology of computer modeling of time to develop, which said Livanov enough, but with electronic equipment will have to "tinker". 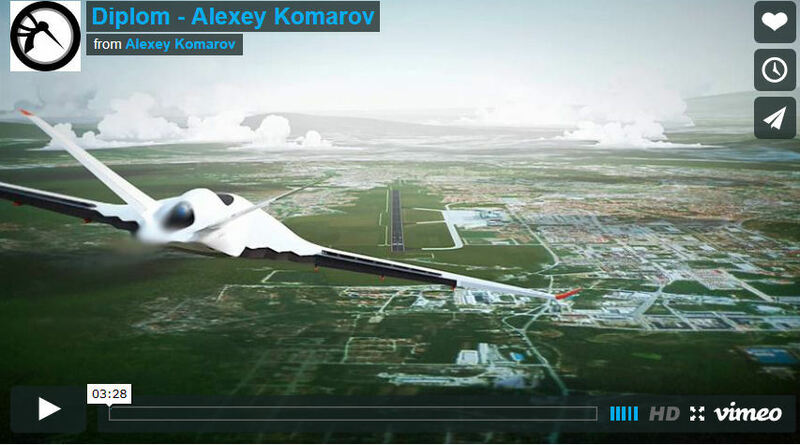 "The new aircraft is quite possible to build in the meantime. Now all this is "- believes Malikov, indicating that the engine itself, if it is a fundamentally new, will have to develop several times longer than the plane itself. As for the main requirements that must be met PAK TA, then pointed to fuel efficiency, low noise, because the aircraft will be operated not only domestically, but also sold abroad, where such parameters are paying very close attention. "Naturally, you will need to determine the volume of goods transported. It is necessary to assess what will be the volume of disposable transport. You can make a great plane, but it is possible and smaller. If the Ministry of Defense need to carry the tank, that is one thing. That technique, which goes along the ground, she different types of cabins, and depends on the size and future aircraft fuselage. But two KamAZ it must carry. That is, it can be a little smaller than the Il-76" said the expert, adding that on one refueling aircraft must fly" not less than half of Russia. " In turn, the test pilot, Honored Pilot of Russia Mikhail Markov believes that the criteria that will respond to the new complex should develop research institutes, within a year or two they can analyze trends aircraft. "Clearly, the pure and good option right will not. Errors can not be avoided. Come up with something completely new - not. Comprehensive modernization begins with small things - from buttons that is pleasing to the touch," said Markov. However, he notes that "stupid modernize" the old design, or create entirely new product - both options are wrong. "You can not do something good, then sit for 30 years and suddenly decide to create something new. Must undergo a gradual but constant modernization. This force under serious scientific institutions ", - he said. Chairman of the Public Council of Civil Aviation Rostransnadzora, Honored Pilot of the USSR Oleg Smirnov believes that, before embarking on the creation of PAK TA is necessary to study the demand for this complex: as necessary pieces of equipment, aircraft types, capacity, flight range. "There must be a technical task. Then you need to identify sources of funding, "- said Smirnov, expressing confidence that the demand for PAK TA will. He believes that the JSC "IL" not yet examined the requirements of the potential customers of the future complex. Moreover, Smirnov convinced that disclose PAK TA needed later, when it became clear to, for what amount will be made by the first orders. "Over the past 20 years have been dozens of such intentions. And they have only led to the destruction of Soviet aircraft, "- he said. The initial PAK TA specification entailed building subsonic air freighters with a conventional 900 km/h cruising speed and a moderate 4,500-kilometer range. The program involves the creation of wide-body freighters, with payloads varying from 80 to 200 tons, to replace all existing Ilyushin and Antonov cargo aircraft. In 2014, it was reported that future military air freighters will be developed by the Ilyushin Aviation Complex, with some experts saying the company may base designs on the Il-106 cargo plane (80 tons) project that won a government tender in the late 1980s, but was abandoned after the collapse of the Soviet Union. IL has started the development of a promising aviation complex of the Military Transport Aviation (PAK VTA / PAK TA). This was announced in August 2016 by CEO Sergei Velmozhkin. According to him, at the moment the company has the time and power that will allow the aircraft to be developed based on modern technical solutions. The company will conduct a special analysis of existing projects, as well as research and development work on aerodynamics, strength and control systems. According to the results of the study, decisions will be made about what the future military transport aircraft will be. Velmozhkin noted that the power plant will play a very important role in the development of the aircraft of the future. At the moment, it is planned to install the newest engine PD-23, which was launched August 2016, for the PAK VTA. With this engine one can already talk about the PAK VTA with a payload of 100 tons. If the customer wanted to have a 80-ton machine, then there will already be installed PS1-90A1. In November 2018 it was reported that developers of aviation equipment of the Russian PJSC Aviation Complex S.V. Ilyushin ”, which produces airplanes under the world-famous IL logo, began to design a new super heavyweight transport aircraft. The perspective aviation complex of the military transport aviation (PAK VTA) should come to replace the An-124 “Ruslan” aircraft, which had not been created in the world and had been developed by the Ukrainian design bureau “Antonov” in the Soviet years . Work on the creation of a new transport worker is being carried out on the instructions of the Russian Ministry of Defense , which has determined the basic requirements for a promising vehicle. Funds have been allocated for the implementation of the project as part of the financing of the state defense order program for the period up to 2027. The appearance of the aircraft is determined on the basis of tactical and technical tasks, taking into account the latest achievements in the field of aircraft construction. It is assumed that composite materials will be widely used in the construction of the airframe. Simultaneously with the work on the PAK VTA, the Russian military department is implementing a project to modernize the existing An-124 Ruslan aircraft fleet, which is scheduled to be completed by 2022. According to the results of maintenance, the aircraft will be brought to the version of An-124-100M. The modernization of military transport aircraft "Ruslan" will cost the state treasury 3.5 billion rubles. Work is being carried out at the facilities of the Aviastar-SP Ulyanovsk Aviation Enterprise, where these aircraft were previously manufactured. Production stopped in 2003, with the total of 36 units of aviation technology type An-124 produced. In the future, a fleet of heavy transport aircraft will reportedly be capable of moving a strategic unit of 400 Armata tanks, with ammunition, to anywhere in the world. And probably at hypersonic speed, enabling Russia to mount a global military response. 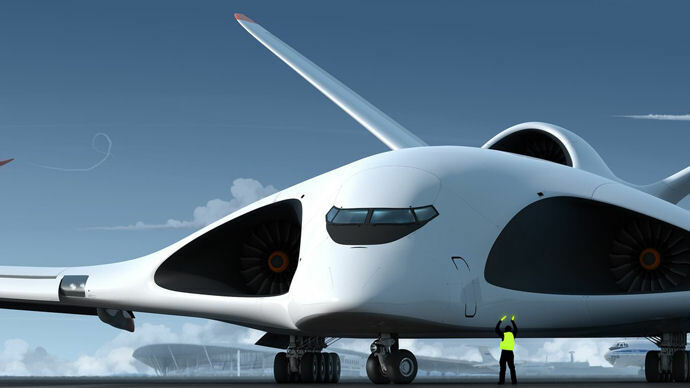 According to a new 2015 design specification from the Military-Industrial Commission in Moscow, a transport aircraft, dubbed PAK TA, will fly at supersonic speeds (up to 2,000 km/h) and will boast an impressively high payload of up to 200 tons. It will also have a range of at least 7,000 kilometers. One of the main tasks of the new PAK TA is to transport Armata heavy missile tanks and other military hardware on the same platform, such as enhanced self-propelled artillery weapons systems, anti-aircraft missile complexes, tactical missile carriers, multiple launch missile systems, and anti-tank missile fighting vehicles. The PAK TA freighters will be multilevel, with automated cargo loading and have the capability to airdrop hardware and personnel on any terrain. A fleet of several dozen PAK TA air freighters will be able to lift 400 Armata heavy tanks, or 900 light armored vehicles, such as Sprut-SD airborne amphibious self-propelled tank destroyers. “With the development of a network of military bases in the Middle East, Latin America and Southeast Asia, which is expected to be completed during the same time period (by 2024), it’s obvious that Russia is preparing for a full-scale military confrontation of transcontinental scale,” Expert Online says. A source who attended the closed meeting of the Military-Industrial Commission told the media outlet on condition of anonymity that he was “shocked” by the demands of the military. The PAK TA project has been ongoing for several years now and will eventually supplant the currently operating air freighters. But such a global mission statement for national military transport aviation has never been voiced before. “It means for the first time we have the objective of creating an operational capability to airlift a full-fledged army to any desired place on the planet,” the source said. This means delivering a task force the size of the former NATO and the US troops in Iraq, in a matter of hours to any continent. “In the context of the current military doctrine that defies comprehension,” the source said.